For riders of so-called youngtimers, the motorcycles of the 70s, when the first 4-cylinder and dangerous large-volume two-strokes gave motorcycles a completely new image of rockets on 2 wheels. For them we have the right helmet: the INTEGRAL. 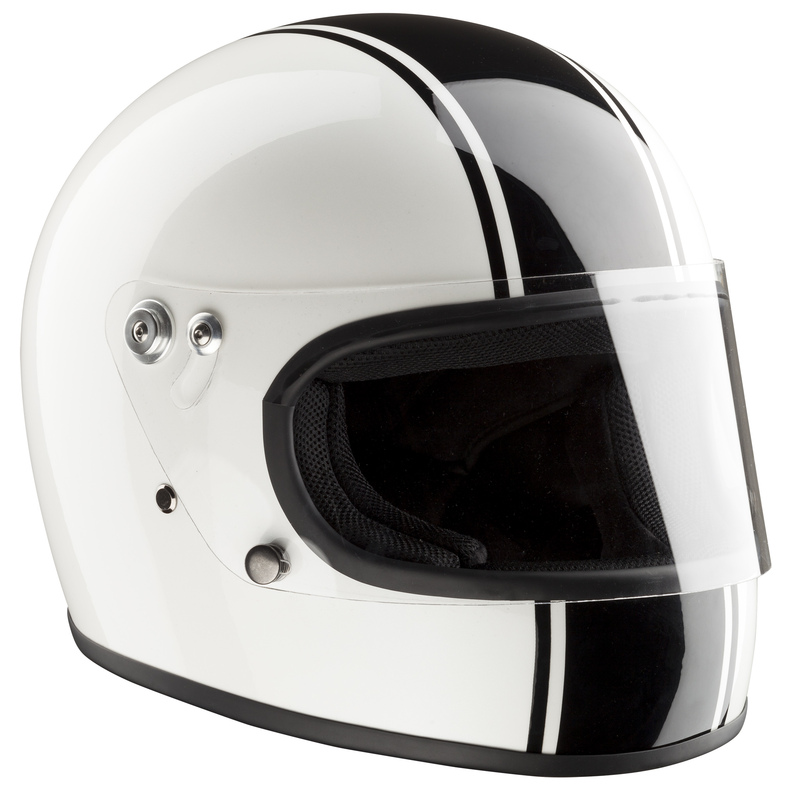 It is a reissue of the then usual helmets, true to the original in the details and perfect for the authentic appearance. Now with a robust fibreglass shell and homologated according to ECE 22-05. In white with black stripes.